Davao city is known as one of the most bountiful and colourful cities in the Philippines. Like other cities, it also celebrates the usual holidays in the country like the local Rizal day, Araw ng Kagitingan, New Year, and etc. However, there are at least two grand Davao festivals. The Araw ng Dabaw is celebrated during the 16th day of March every year. This is a vibrant feast and celebration of the unity of the Davaoeños. This is observed with a grand parade along the major roads of the city. It is also at this time that the pageant “Mutya ng Dabaw” is held in order to crown the city’s Ambassadress of Goodwill. 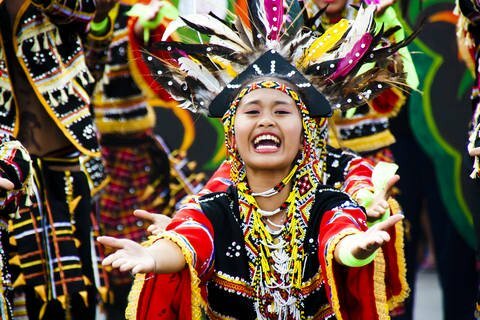 At this time, the local people of Davao showcase their cultural talents through various shows, art exhibits, musical and culinary extravaganza, sport events, street parties and gatherings, horticultural shows and more in lieu of the celebration. This is a whole week’s celebration that is also filled with opportunities to shop at a bargain and find interesting “ukay-ukay” or local flea markets all around the city. You may want to eat the famous fruits of the city at this time because most of the time, it is in season. There is also the “Hudyakaan” a local outside dinning event with live bands and entertainment from a number of artists. This outside dinning serves famous and hot off the grill variety of barbeque and more. Furthermore, the Araw ng Dabaw celebration is one that is sought after by many of the locals and visitors alike. If Araw ng Dabaw is a celebration of goodwill and unity, the Kadayawan Festival is a celebration of life and a thanksgiving of the various gifts of nature, wealth in culture and history, and the bountiful blessings and harvests of living. The word “kadayawan” is a Mandaya word that means anything that brings fortune. This is a derivative term from the word “dayaw” meaning good, and “madayaw” a warm and friendly Mandaya greeting that is also used to describe things that are valuable, superior or bountiful. This is one of the largest and most colourful celebrations in the Philippines. This pays tribute to Davao’s artistic, cultural and historical heritage. 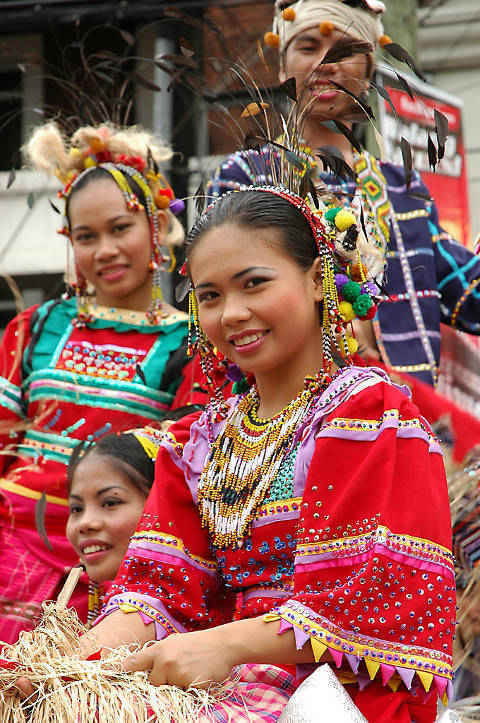 The major activities at this time includes the search for “Hiyas sa Kadayawan” of which will symbolize the Mindanawon fashion and floral arts; there is also the river festival, indigenous music exhibition featuring local indigenous artists with their use of various local instruments; dance competitions for the youth; and various fairs for livelihood, food, trade, and local goods. The highlight of the celebration also includes the most awaited “indak-indak sa Kadalanan” which is the local street dancing where various children and adults dance their way with the colourful music of tribal dances. This is a spectacle worth watching as it is being prepared months before the event and the actual dancers come in ethnic-inspired garments with graceful dances. Also most awaited is the Floral Float Parade where the locals showcase different small to large floats decorated with floral and agricultural bounties such as flowers, fruits and more. This weeklong celebration also coincides with the harvest of fruits such as the Durian, lanzones, mangosteen, rambutan and the blooming of the national flower: “Waling-waling”. This is celebrated during the 3rd week of August. Christmas of locally called “Pasko” is also one of the warmest celebrations in the city. The Pasko Fiesta in Davao City is and integration of competitive Christmas activities that showcases the different decorations, lights, and surprises from different establishments all around the city. This includes the barangays, public markets, roads, major business centers and more. This also showcases the talents and skills of the various communities and people. During this season, there are a lot of night markets with bargain stuff and opportunities to shop at very low prices. There are also food bazaars and festivals to look forward too. If you would like to keep it simple, you can go and have the “Simbang Gabi” or locally known to be 9 mornings. You go to church for 9 consecutive early mornings to celebrate the coming birth of Jesus Christ. Thereafter you can enjoy local “kakanin” or Filipino special delicacies that are warm and freshly made just outside the church. If it is the night time that you love, you can go and visit People’s park where various decorations and light plus the singing fountain can be found. Enjoy other notable light decorated attractions such as the local city hall, the Manna Davao, and the city streets.